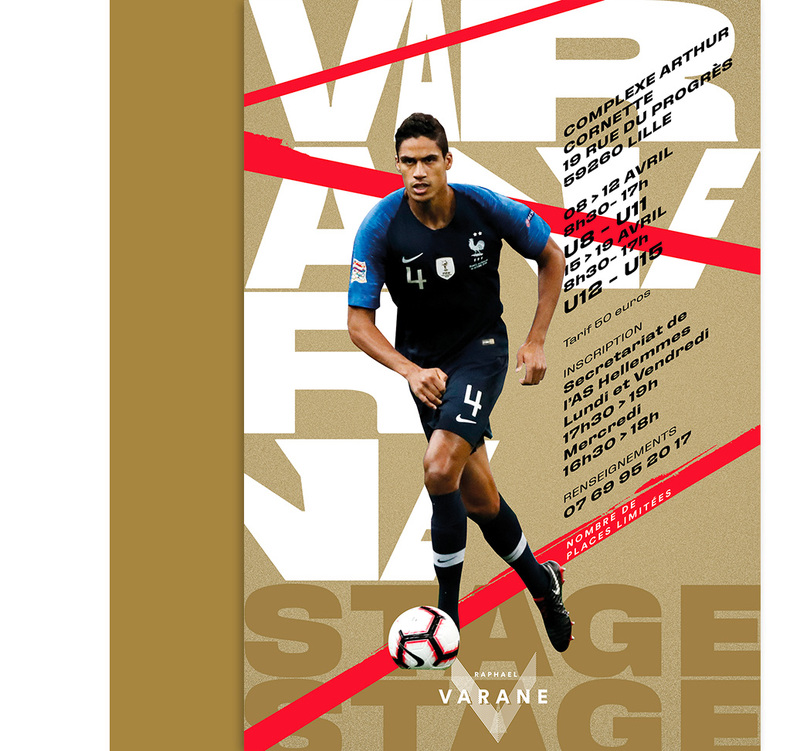 From 25th February to 8th March 2019, the first Camp “Raphaël Varane” took place at the Trianon au François (Martinique) sports complex. In a relaxed but motivated atmosphere, 120 young people aged from 8 to 15 years have been able to learn, perfect and discover the requirement of a high level within 15 days. I would like to thank all the people who worked to make this internship a success. As a result of its initial success, I can announce you that the next internship will take place at HELLEMES (North of France) from 8th to 19th April 2019 with the single goal for us, as for you to be even better tomorrow. WORK, RESPECT, HUMILITY AND AMBITION ! The Varane Camps were created by Raphael’s will to transmit sporting and human values to young people. During school holidays, young people will acquire the tools that will enable them to grow on and off the field. In order to allow the majority to access the camp, it will be mobile and will take place in different zones. Open to everyone, for girls and boys, without any level condition. A second formula with an elite purpose will soon complete the Varane Camps offer. The training proposed during the camp weeks was developed by Raphael and his team, based on his experience, his preferences and the requirements that let him grow and achieve his goals. Focused on work and respect, the meetings managed by a professional team will be led according to the Varane method. Through this method, Raphael wants to share a humble and ambitious approach to football. Beyond the proposed sports education, the participants will also reflect on the key social topics such as the environment, health and citizenship. The aim is to draw the participants’ attention to topics that are important to Raphael. Professional speakers will come to educate our young people to protect nature, to manage energy and to have a healthy routine. The lifestyle of a high-level athlete, the teamwork and respect to referees will also be highlighted.